Great for use in shipping rooms. Lightweight and compact. User pushes lever forward to use knife. Blade retracts into handle to close. 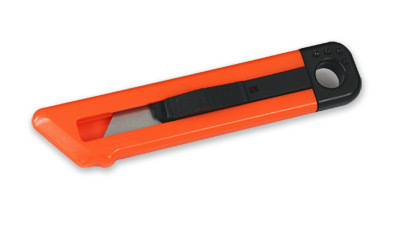 Heavy-duty blade is super-sharp and can be replaced without using any tools. For additional replacement blades use Item Number 10-86-01, sold separately.